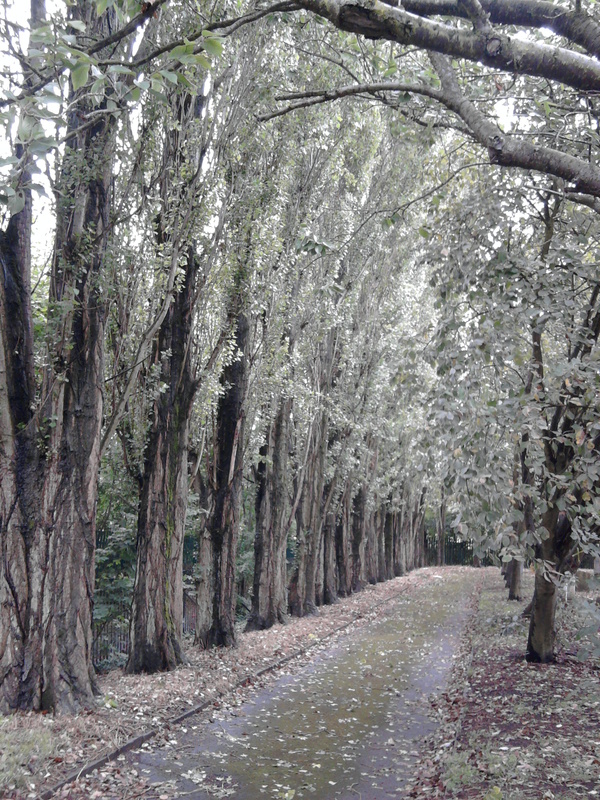 Any guesses as to the wherabouts of this striking avenue of poplars in our Neighbourhood Forum patch? The first person to contact us with the right answer gets a mystery prize. This entry was posted in Events and tagged Acocks Green, green spaces, mystery, open spaces, photograph, trees, walking group. Bookmark the permalink. Interesting! No, I’ve not seen these before. Could it be Fox Hollies Park? I do hope Elvis turns up. I haven’t heard the rumours of dog fighting in the area, if anyone has heard more about this do get in touch. The photo is not Fox Hollies park (although that is s a very nice park to explore close to our patch). Yardley Cemetary, possibly at the bottom end of clay lane. Hello Mark, right again, well done. It is Yardley Cemetery. This avenue is situated on the right hand side (approaching from Yardley Rd), close to the path that runs by the allotments. If you send me your address I will post your mystery prize!